Today, 27 March 2018, EDRi, together with other civil society organisations, sent an open letter to all attachés working on the ePrivacy reform for the permanent representation of EU Member States in Brussels. 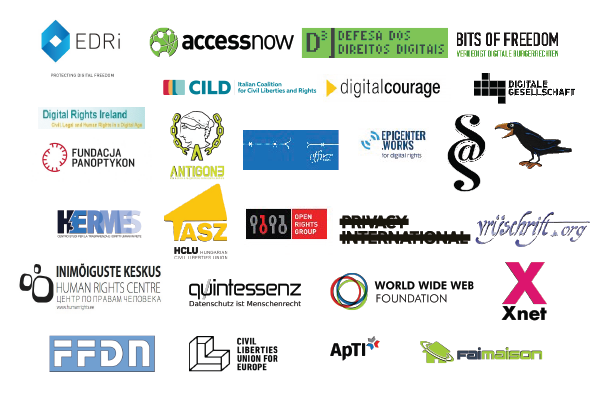 We, the undersigned organisations, support the ongoing and much-needed efforts to reform Europe’s ePrivacy legislation. The reform is essential in order to strengthen individuals’ right to privacy and freedom of expression across the EU and reinforcing trust in online services. We are therefore concerned by the slow progress of the Council towards finalising a General Approach. The proposal was launched by the European Commission in January 2017, supported by the results of an EU public survey which clearly showed that individuals want privacy and security when communicating online. More than a year after the proposal was launched, a strong ePrivacy Regulation is needed more urgently than ever to complement and particularise the General Data Protection Regulation (GDPR). Not concluding or undermining the objectives of the reform creates significant risks for individuals’ rights to privacy, freedom of expression and trust in the online economy. The risks have been brought into sharp focus recently. The Facebook/Cambridge Analytica scandal shows that abusive, trust-corrosive practices must be robustly tackled with clear rules. The societal implications are profound as this case is further proof that when individuals are tracked and profiled, not only is their privacy at risk, but information can be used for political and economic manipulation. By adopting a strong ePrivacy Regulation, the EU can put an end to these pervasive abuses of individuals’ electronic communications data. In that context, we welcome the conclusions from last week’s European Council where EU leaders reiterated that EU and national legislation on privacy and personal data must be respected and enforced and undertook to ensure the adoption of the ePrivacy reform in 2018. Ensure that the Council’s position supports the effective protection of the privacy and security of communications, including by supporting a provision that ensures privacy by design and by default in both software and hardware. 1 See National Telecommunications and Information Administration report in the United States and similar figures in the ePrivacy barometer regarding the concerns on current lack of strong privacy and data protection laws.